Move in with Mobilee for off-Sonar weekend by booking your Hotel Silken Diagonal room package today. Join us at our Barcelona home base to get a great deal on singles, doubles, suites and superior rooms, and get access to our infamous Mobilee rooftop events on Friday and Saturday. Coco Cole of Capital Xtra invited Mobilee artist Re.You for a short guest mix on her show. The short thirty minute mix takes us into deeper territory and features some unreleased treats from the artist. You can stream the mix over on Coco's Soundcloud page. Make sure to join us this Saturday at The Egg, London for a special Mobilee showcase celebrating the release of Re.You's recent "Mobilee Back To Back Vol.9" compilation. 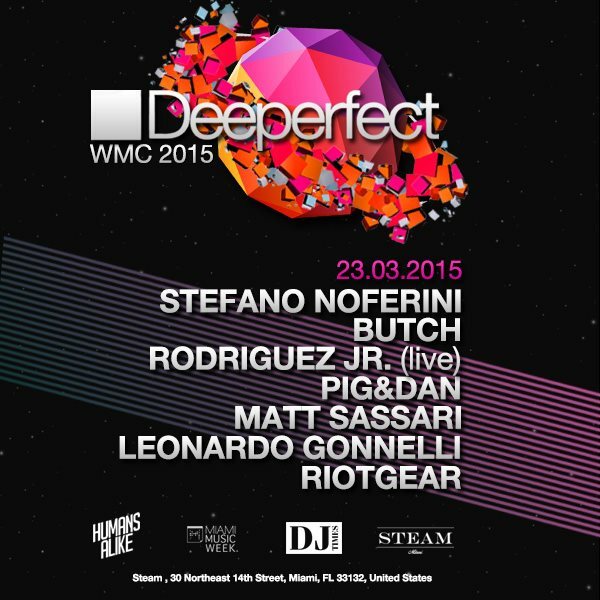 Meet us at WMC 2015! It's that time of the year again to head to Miami with your bathing suit and sunglasses for a week of fun in the sun. This year Anja Schneider and Rodriquez Jr. will both be in Miami for the week. We look forward to seeing you at any of the following events. More information and tickets over on Resident Advisor. Ralf Kollmann's latest podcast for Warped is now available, the solid one hour mix of his current favorites brings the perfect vibe for the quickly approaching spring months. You can stream and download the podcast over on Mixcloud. Lee Van Dowski's latest EP on Mobilee has taken the scene by storm. After topping the charts shortly after its initial release and finding its way on DJ charts around the globe, this ever busy artist shows no signs of stopping. He was able to find time during his busy schedule to create this new podcast for French blog Beyeah. You can stream the podcast and read a short interview over on the Beyeah website. Australian culture blog Outstripped, has placed Re.you at the top of their list of Deep House Artists to look out for in 2015. You can read the full article and stream his Transitions guest mix over on the Outstripped website. Turkey's Rave Mag sat down with Rodriguez Jr. for a special interview about his roots, music and what it's like being a part of the Mobilee family. You can read the full interview in English over on the Rave Mag website. Britain's DJ Mag has premiered yet another track off the recent Mobilee Back To Back Volume 9. This time featuring "Union' a collaboration with fellow Berlin artist Ninetoes, and is featured on disc 2 of the compilation. You can now stream the track over on the DJ Mag website. "Mobilee Back To Back Volume 9" is now in stores! Grab your copy over on Beatport while it's still hot.